Toss with Italian seasoning, lemon pepper, salt, pepper, and olive oil. Arrange fries on a baking sheet in a single layer. 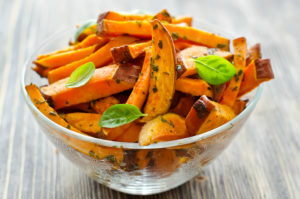 Enjoy the Sweet Potato Fries!